• European A2 size (420mm x 594mm) 16.5” x 23.4”. Bigger sizes on request. • White border to allow for framing purposes (excl. 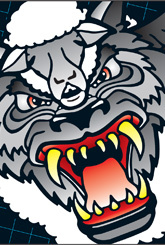 Wolf Insignia). Click Thumbnails Above BUY NOW! AIRWOLF™ is a Trademark of, and licensed to NBC Universal Television Studios © 1984. All images and multi-media content of this website are Copyright Mark J.Cairns © 2014. Under NO circumstances must any images or digital content be used from it on any other websites or media without the express written consent of the Copyright / Intellectual Property owner. All MP3 theme tune files remain the Copyright of Mark J.Cairns, Sylvester Levay and Jan Michal Szulew © 1999 / 2014. The Airwolf Themes soundtrack is the officially licensed score based on the original CBS episodes of the Airwolf TV series.